has waned and prices are under pressure say producers. exporters but volumes ordered tend to be small. competition also extends to markets in the Middle East. and not likely to be stimulated by price cuts. in the current market slowdown. 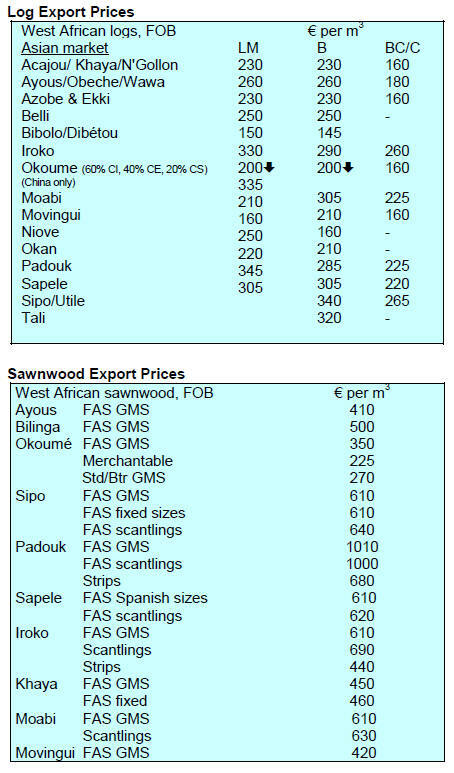 related to illegal logging and export of kevazingo. hardwood sought after in Asia. development of the bamboo and rattan industry. Agreement (VPA) with the EU will continue. market from Ghana, will continue. the country¡¯s capital will continue in 2016.
exemptions and avoiding revenue leakages. reflects apparent progress in stabilising the economy. sector to encourage higher investment. has weakened around 27% in the year. 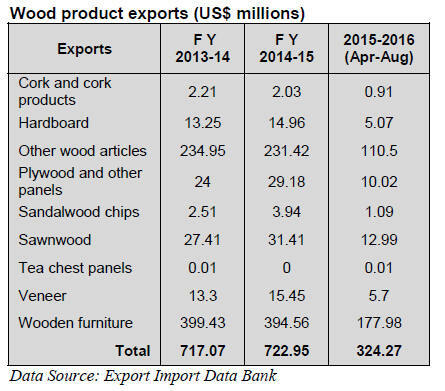 This year furniture exports are already up around 20%. January to July exports worth RM 1.34 billion. RM 2.9 billion for the whole of 2014. Scheme (MTCS) since July 2012, is now due for a review. is to be reviewed at least every five years. incorporating this with the MC&I Forest Plantation. main market, over the twelve months to June this year. 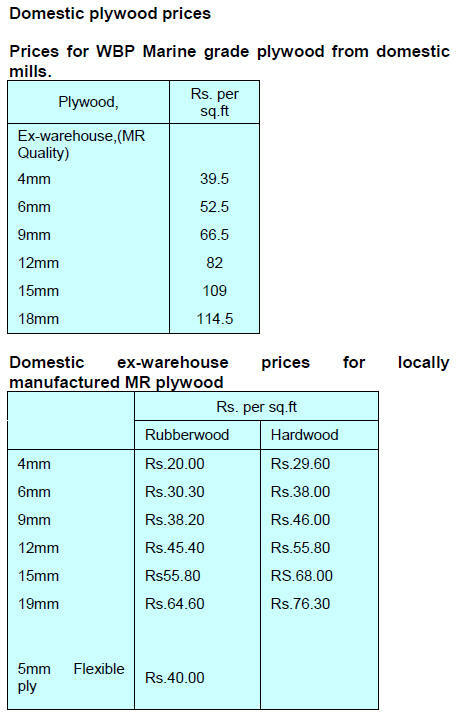 Malaysian plywood for three years from February 2011.
reduced rates from the middle of last year. advances made in overseas markets. US$ 6 billion for the whole of 2014.
to an improved global economy. 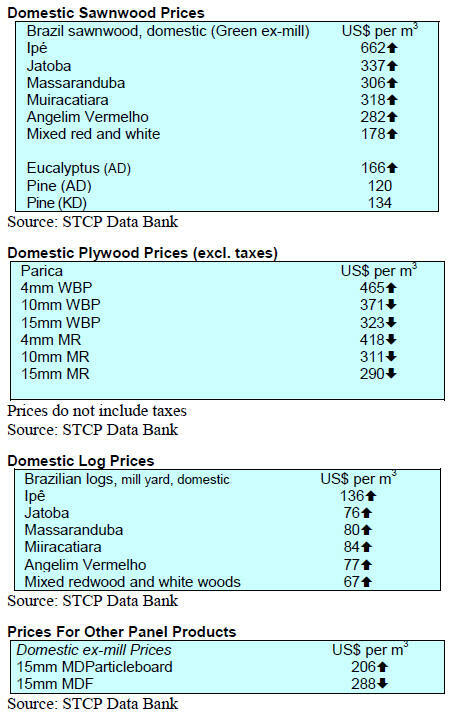 concern to SMEs in the timber sector. agreement reached on the VPA. and strong , sustainable and inclusive growth. GDP than in the past. 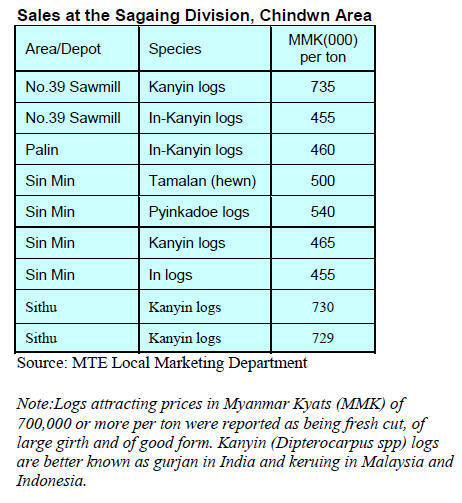 Myanmar but in other areas trade has grown. government to establish an electronic company register. in the region of 25-30,000.
adopting a ¡®wait and see¡¯ attitude. buyers and the sales attract many buyers. 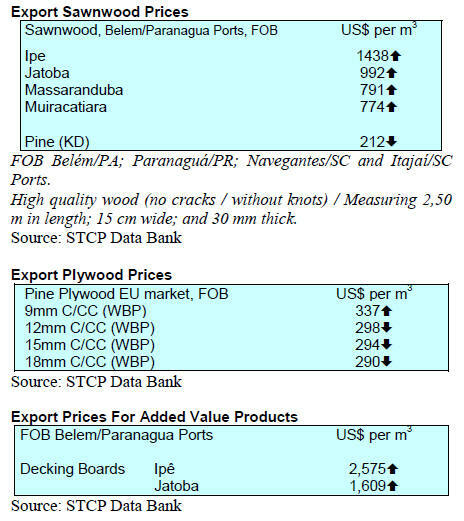 Wood products and Plywood are shown below. homes in two phases on state land. 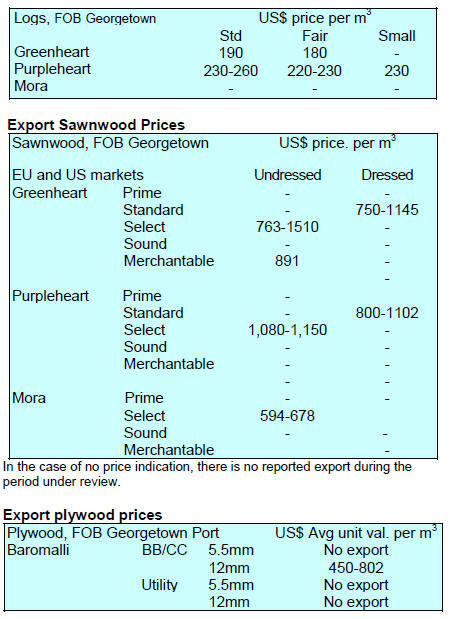 and other hardwoods were offered for sale. reserve prices for these lots were too high. 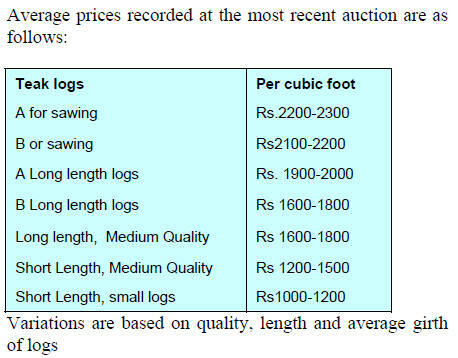 logs went for between Rs.300-350 per cubic foot. 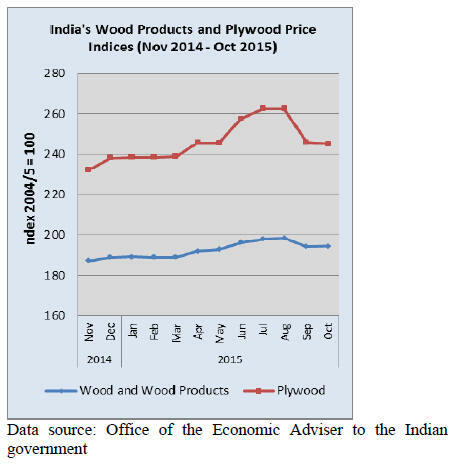 an interest rate subsidy for exporters. than the average for 2014-15. Especial de Liquidação e Custodia) at 14.25%. material on paric¨¢ (Schizolobium amazonicum) plywood. can be harvested in 5-7 years. Tocantins in the Amazon region. Imbituva, União da Vit¨®ria and Bituruna municipalities. and other characteristics are analyzed. from US$ 276.0 million to US$ 210.0 million. cu.m as unit prices declined. million to US$ 15.1 million) a 19% drop. year earlier (from US$ 42.5 million to US$ 30.2 million). from 112,600 cu.m to 109,400 cu.m. US$3.6 mil. 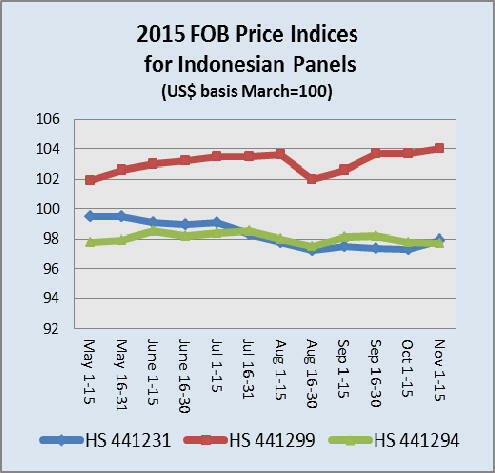 from US$ 2.7 million in October 2014.
this year, an almost 28% fall. need to work on meeting international standards. Brazilian certified products in Europe. the construction sector in Europe and Dreitailer. Pucallpa, Puerto Maldonado and Lima.